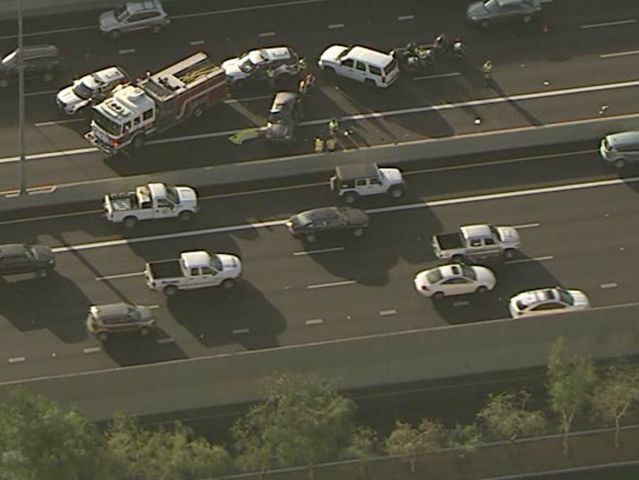 Phoenix, Arizona—Accident investigators with the Phoenix Fire Department were actively working a deadly rollover crash on southbound I-17 at Glendale Avenue on Friday afternoon. One unidentified woman died when she reportedly was ejected from the vehicle as it rolled. A second woman in the car remains hospitalized in critical condition. Five children in the car were treated for minor injuries. Accident investigators have not released the names of any of the victims. No additional information presently is available. We extend our condolences to the family and friends of the woman who died, and we wish full and speedy recoveries to all those who were injured.